It is with sadness that the family of Kathleen Luippold (Martin), 72 announce her passing on December 3, 2018. Born in Oakland, CA in 1946 to Lorraine Martin (Fialho) and William Martin, she lived in California until she married and moved to Massachusetts in the late 1960s. Settling in Northborough, MA she raised 5 children and many other in her daycare of almost 30 years. 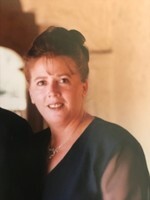 Kathy will forever be remembered by her children Ronald Luippold II of Quincy, MA, Robert Luippold and his wife AnaLisa of Camino, CA, Therese Blake and her husband Patrick of Douglas, MA, Georgiana Luippold and her Partner Leslie Hubbard of Sacramento, CA. Mrs. Luippold is predeceased by her son Adam Luippold. She will be fondly remembered by his wife Alissa Luippold. She will also be lovingly rememberd by her many siblings who all reside in California. Kathy, lovingly referred to as Gummy, will be fondly remembered by her grandchildren Christopher Blake, Kylie Blake, Andrew Luippold, Cameron Luippold, Victoria Luippold and Evelyn Luippold. As per our Mothers request there will be no services, as she was never one to be the center of attention. Memorial donations may be made to the American Cancer Society, P.O. Box 22478, Oklahoma City, OK 73123. This obituary is protected by copyright by . Proudly Serving the Communities of Northborough, Berlin, Marlborough, Boylston, and surrounding communities. is located in the state of Massachusetts, United States.